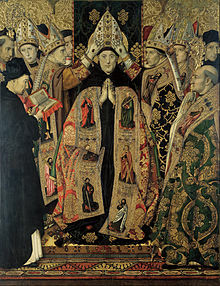 ^ a b St. Augustine of Hippo. "On Rebuke and Grace". In Philip Schaff (ed.). Nicene and Post-Nicene Fathers, First Series, Vol. 5. Translated by Peter Holmes and Robert Ernest Wallis, and revised by Benjamin B. Warfield (revised and edited for New Advent by Kevin Knight) (1887 ed.). Buffalo, New York: Christian Literature Publishing Co.
^ "Some Underlying Positions of This Website". 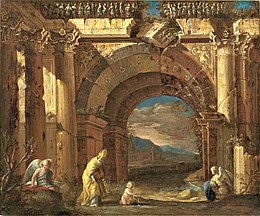 www.romanity.org. Retrieved 30 September 2015. ^ "Limits of Church". www.fatheralexander.org. Retrieved 30 September 2015. ^ Kappes, Christiaan (30 September 2015). 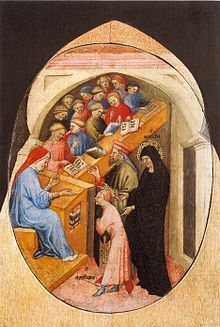 "Gregory Palamas' Use of Augustine's De Trinitate for Original Sin and its Application to the Theotokos & Scholarius' Palamitico-Augustinianism of the Immaculate Conception (Stockholm 28.VI.15)". Stolcholm University Press. Portalié, Eugène (1913). 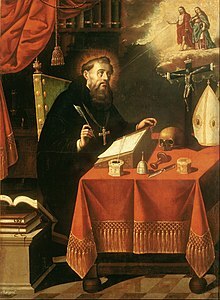 "St. Augustine of Hippo". In Herbermann, Charles (ed.). Catholic Encyclopedia. New York: Robert Appleton Company. Retrieved 30 June 2016. 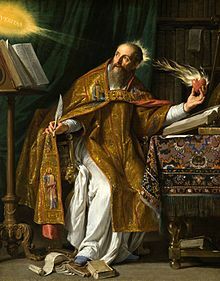 ^ "Saint Augustine – Biography, Philosophy, & Major Works". Encyclopedia Britannica. Retrieved 28 January 2018. ^ Mann, WE (1999). "Inner-Life Ethics". In Matthews, GB (ed.). The Augustinian Tradition. University of California Press. pp. 141–142. ISBN 978-0-520-20999-2. ^ a b Bauerschmidt, John C (1999). "Abortion". In Fitzgerald, Allan D (ed.). 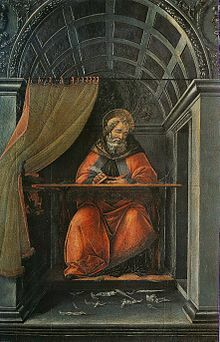 Augustine Through the Ages: An Encyclopedia. Wm B Eerdmans. p. 1. ISBN 978-0-8028-3843-8. 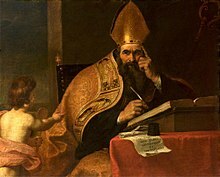 ^ "Modern Look at Abortion Not Same as St. Augustine's". www.ewtn.com. Retrieved 4 December 2016. ^ Teske, Roland J (1999). "Genesi ad litteram liber imperfectus, De". In Fitzgerald, Allan D (ed.). 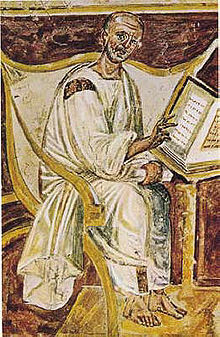 Augustine Through the Ages: An Encyclopedia. Wm B Eerdmans. pp. 377–378. ISBN 978-0-8028-3843-8. ^ a b Mendelson, Michael (24 March 2000). 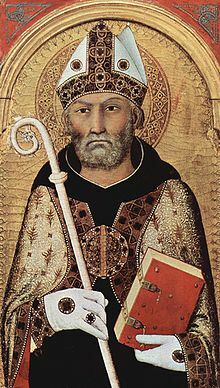 Saint Augustine. The Stanford Encyclopedia of Philosophy. Retrieved 21 December 2012. ^ McIntire, C.T. (2005). "Free Will and Predestination: Christian Concepts". In Jones, Lindsay (ed.). The Encyclopedia of Religion. 5 (2nd ed.). Farmington Hills, MI: Macmillan Reference. pp. 3206–3209. ^ Martin, Luther (1963). Lehman, Helmut (ed.). Luther's Works. 48. Translated by Krodel, Gottfried. Fortress Press. p. 24. ^ a b c "Church Fathers: City of God, Book XIX (St. Augustine)". www.newadvent.org. Retrieved 31 July 2018. 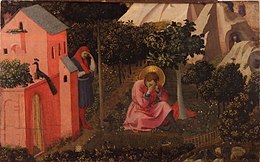 Augustine, Saint (1974). Vernon Joseph Bourke (ed.). The Essential Augustine (2nd ed.). Indianapolis: Hackett. Mendelson, Michael. 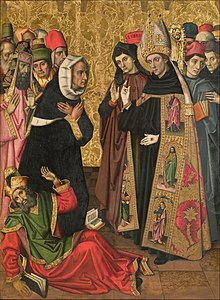 "Saint Augustine". In Zalta, Edward N. (ed.). Stanford Encyclopedia of Philosophy.